A community garden is an area of land made available to community members to grow vegetables. These tiny plots of land are sometimes free but often leased to gardeners for a small fee to help with maintenance and costs of running the garden. 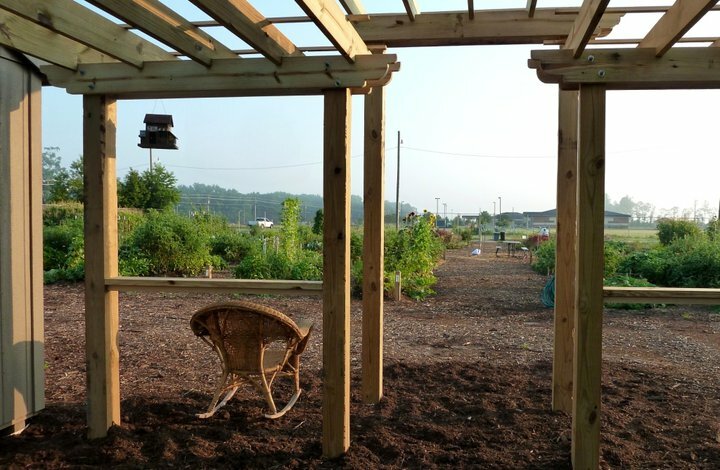 Community gardening is not a new idea but is gaining popularity throughout the United States. To learn more and apply for a garden plot, CLICK HERE. In order to promote the health benefits of gardening and healthier eating, Pitt County created the Making Pitt Fit Community Garden. The goal is to build a community of gardeners who share resources in order to make gardening a fun, inexpensive, and successful experience. The Making Pitt Fit Community Garden is a true Pitt County partnership, and is located on County Home Road, adjacent to the Alice F. Keene District Park, and across from the Leroy James Farmers Market and East Carolina Village and Farm Museum. The Making Pitt Fit Community Garden is funded by a partnership between Pitt County Government, the North Carolina Cooperative Extension, and Vidant Health.